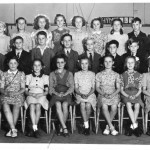 Were you at Dashwood in 1947? 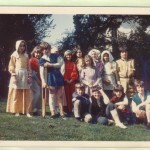 Remember this Pied Piper production in 1978? The Dashwood School Online Archive came about because of the interest created by the book Dashwood School 1902-2008: a souvenir history. The book celebrates Dashwood School’s 106 years on its original Marlborough Road site in Banbury, Oxfordshire before its move to Merton Street in 2008. 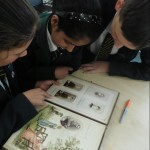 Former Dashwood pupils very kindly loaned pictures and documents for the book, and sent in memories and reminiscences – and they continue to do so! This blog is a way of showing what’s new in the school archive and also delving more deeply into the material we already have. So, if you were at Dashwood School, please have a look around this site or get hold of a copy of the book and see if you can add any details or pictures we don’t yet know about. Everything is gratefully received and you can get your original material back when we’ve scanned it. If you’d like to get in touch, please contact me, Rebecca Mileham, via the contact form on our site, on 01295 268328 or [email protected]. Do let me know if you have suggestions, comments or corrections on this site, or on the contents of the book. I didn’t go to Dashwood myself (I grew up in Leamington) but my children are at the school now and I live in Banbury, near Dashwood’s historic building. I am a professional writer and museum consultant, and love working with this amazing archive that means so much to former pupils and staff. Dashwood School 1902-2008: a souvenir history is available for £10 from Banbury Museum shop, or by post from this site (£12.50 inc p&p).